The Carnival season has just ended in New Orleans. The thing that surprised me most about the holiday is that it really is an event that hits the whole town. Many people who have never lived here don’t realize it’s actually a pretty family-friendly event. Most businesses give their employees the day off for Mardi Gras and many also get Monday (or Lundi Gras) off as well. 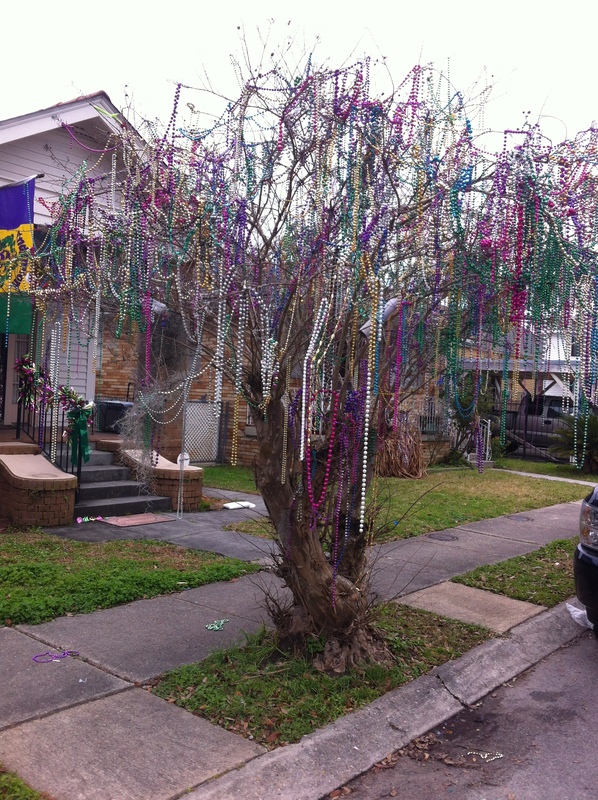 One of my favorite things about Mardi Gras is the bead trees. 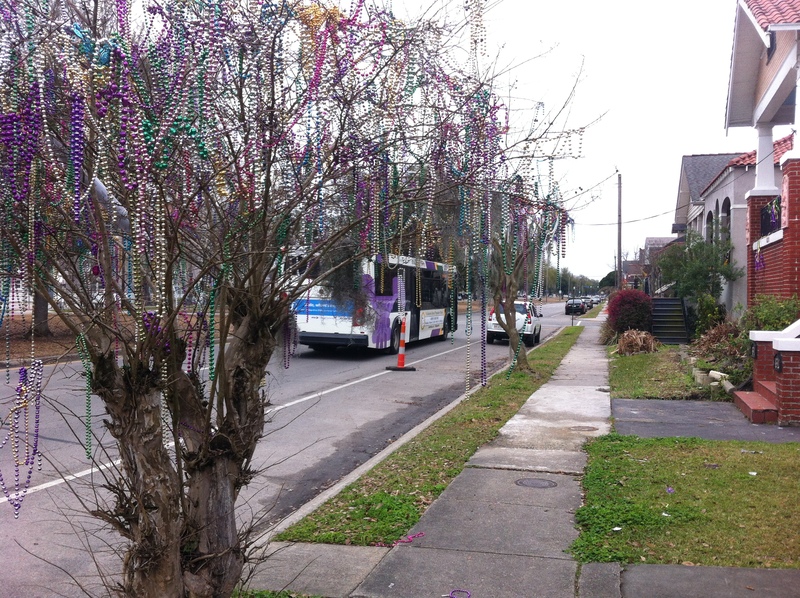 So many beads are thrown off floats that they get stuck in the trees. 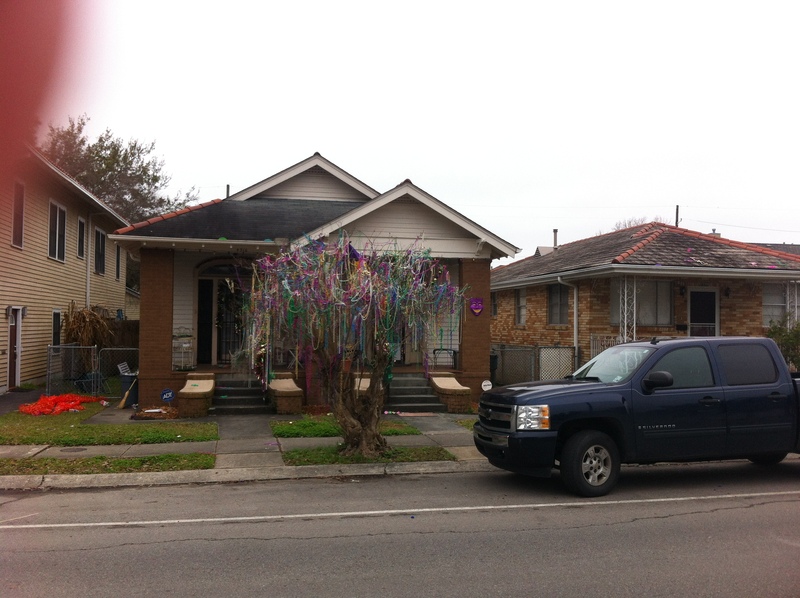 Months following the holiday, the beads will decorate our city with glittery charm. I will miss this when we go. Move date is only a few days away!